Gifts from the Pirates: "When I was a kid, it was a huge insult to be a geek. Now it's a point of pride in a weird way"
"When I was a kid, it was a huge insult to be a geek. Now it's a point of pride in a weird way"
Ive become a little slack over the last week with my writing, part of that was needing a few days break from the internet, some nights i feel like being online consumes me. The other thing slowing me down was the recent purchase of ANOTHER huge box of mixed LEGO. 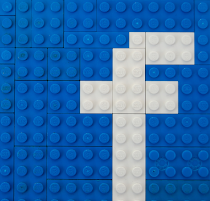 I had an email last week from my friend LEGO Steve (as the boys like to call him), saying "have you seen this?" with a link to an eBay listing titled simply 'Lego'. Two big boxes full and not far from where we are, buy it now for £25. I literally couldn't click the buy it now button quick enough and i gave myself a headache with excitement of the bargain. I'd picked the LEGO up within the hour and so one of our favourite past times began (routing through a huge box of mystery LEGO, what would we find). The new LEGO has certainly kept us entertained and we have found some great things while sorting through it. The first thing of interest i spotted was Jabba the Hutt, closely followed by Lando and Princess Leah which got me searching for what kit they belonged too and it seems that Jabba's Sail Barge is in there somewhere which i have started to build. There were many other fun parts but the thing that has got us the most excited was the selection of train track, wheels and remote control. I didn't think i would be that interested in LEGO trains but as we started to build a custom train i quickly realised how wrong i was. If you are a regular reader you will know what comic book geeks we are and although i'm personally a huge Marvel fan the boys love Batman and when it comes to custom super hero builds i am all about the Joker because of all the colours we can use, remember the LEGO Joker's ice cream parlour? 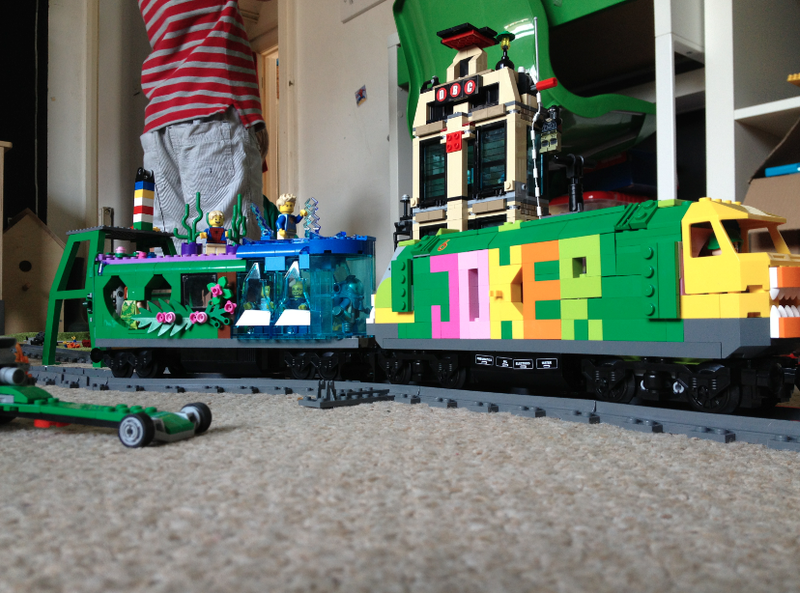 So two days ago we started work on our remote control Joker train and it has been so much fun to build. The wiring is easy to connect and once that is in you can pretty much build around it. The end result came out so well and the boys were really excited about it. And then Mr Freeze because the boys love the minifigure and the frozen cell pieces so much. Considering it didn't take very long to build it came out a lot better than i expected. Then it was time to build the track which sadly we didn't have enough of so we ventured up to our local Smyths to buy a box of track because we wanted to see our new creation in action (plus we didn't even know if the remote and receiver worked, thankfully all was fine). Well for all you fellow LEGO builders out there, happy building, until next time. choo choo!